Definition at line 32 of file CQCreatorDM.h. Definition at line 25 of file CQCreatorDM.cpp. Definition at line 36 of file CQCreatorDM.cpp. Definition at line 41 of file CQCreatorDM.cpp. References COL_EMAIL, COL_FAMILY_NAME, COL_GIVEN_NAME, COL_ORG, COL_ROW_NUMBER, FROM_UTF8, CMIRIAMInfo::getCreators(), CQBaseDataModel::isDefaultRow(), mpMIRIAMInfo, and rowCount(). Definition at line 79 of file CQCreatorDM.cpp. References COL_EMAIL, COL_FAMILY_NAME, COL_GIVEN_NAME, COL_ORG, and COL_ROW_NUMBER. Definition at line 144 of file CQCreatorDM.cpp. References ListViews::ADD, CMIRIAMInfo::createCreator(), ListViews::MIRIAM, mpMIRIAMInfo, and CQBaseDataModel::notifyGUI(). Definition at line 177 of file CQCreatorDM.cpp. 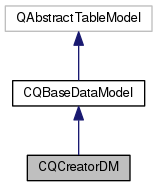 References C_INVALID_INDEX, COL_FAMILY_NAME, COL_GIVEN_NAME, data(), CMIRIAMInfo::getCreators(), CQBaseDataModel::isDefaultRow(), mpMIRIAMInfo, CQMessageBox::question(), and CQBaseDataModel::removeRow(). Definition at line 159 of file CQCreatorDM.cpp. References ListViews::DELETE, ListViews::MIRIAM, mpMIRIAMInfo, CQBaseDataModel::notifyGUI(), and CMIRIAMInfo::removeCreator(). Definition at line 32 of file CQCreatorDM.cpp. 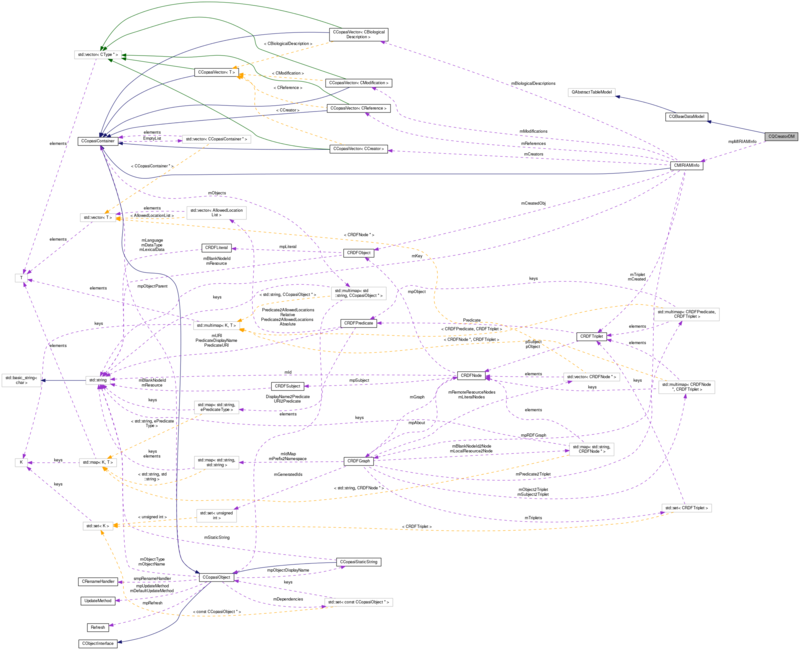 References CMIRIAMInfo::getCreators(), mpMIRIAMInfo, and CCopasiVector< T >::size(). Definition at line 107 of file CQCreatorDM.cpp. References ListViews::CHANGE, COL_EMAIL, COL_FAMILY_NAME, COL_GIVEN_NAME, COL_ORG, CMIRIAMInfo::getCreators(), CQBaseDataModel::insertRow(), CQBaseDataModel::isDefaultRow(), ListViews::MIRIAM, mpMIRIAMInfo, CQBaseDataModel::notifyGUI(), and TO_UTF8. Definition at line 50 of file CQCreatorDM.h. Referenced by CQCreatorDM(), data(), insertRows(), removeRows(), rowCount(), and setData().